While most people express sticker stock about health care costs, they are referring to obvious out of pocket things like monthly premiums, copayments and deductibles. However, the ZIP code area one lives in can have a significant impact on both premiums and cost for health care, particularly at some hospitals. Purchasing insurance and choosing a copay and deductible are readily apparent glimpses into the cost of health care in this country. To provide greater transparency, U.S. hospitals are now required to post some prices online. But that information can be misleading. The amount actually billed to a patient’s insurance company differs based on the specific plan they are in, the network and the rates negotiated with that hospital and the doctors involved. However, the online data may help someone going to a hospital that is out of their plan’s network. They could wind up paying significantly more in areas where least expected, but may not have a choice if that is the nearest facility in an emergency. Medical insurance premiums in one part of a city versus another can be significantly different, varying by 10 to 20 percent in many cases. This is true, even though the same doctors are available to members in either ZIP code. Geography also impacts hospital care. Some states have more expensive hospital inpatient costs on average than others. One might expect that the expensive states are those that are more expensive to live in or large cities. However, Oregon tops the list for most expensive states overall. The other top 10 states in order are Washington, California, Delaware, Massachusetts, Colorado, Utah, Rhode Island, Idaho and Connecticut. The most expensive hospitals in the country are not the more nationally renowned ones, such as Sloan Kettering, Cedars-Sinai, UCLA or the Mayo Clinic. The most overpriced facilities are often lesser-known ones that may charge two to three times as much as others. Some hospitals are even reportedly marking up prices they are charging by more than 1,000 percent. They are charging over 10 times the prices allowed by Medicare – because they can and consumers do not ask. Additionally, there is a lack of hospital charge regulation in most states. 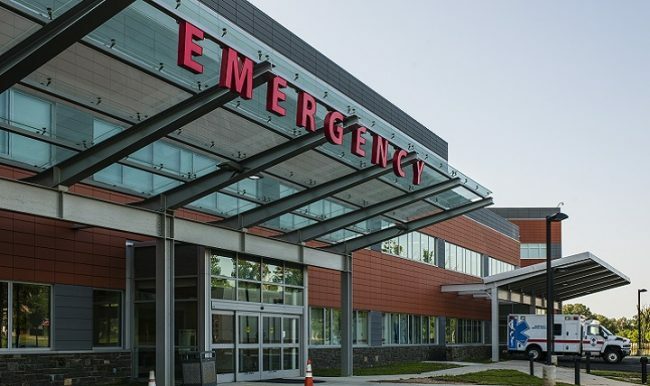 A 2015 study conducted by the Johns Hopkins Bloomberg School of Public Health and Washington and Lee University reported on the 50 most overpriced hospitals, based on 2012 data. The list includes 20 facilities in Florida, a state that is not on the top 10 overpriced list above. The top 10 hospitals with the highest ratios of charges versus costs were North Okaloosa Medical Center (FL), Carepoint Health-Bayonne Hospital (NJ), Bayfront Health Brooksville (FL), Paul B Hall Regional Medical Center (KY), Chestnut Hill Hospital (PA), Gadsden Regional Medical Center (AL), Heart of Florida Regional Medical Center (FL), Orange Park Medical Center (FL), Western Arizona Regional Medical Center (AZ), and Oak Hill Hospital (FL). People comparison shop for health plans and often opt for the one that costs the least, whether it includes providers and network hospitals known for quality. However, they cannot bargain or comparative shop once they are sick. So, it helps to be armed with information before an emergency occurs. Know what facilities are in a given health plan, both near one’s home and work. Also, research which facilities in the area have reputations for overcharging, inadequate care versus outstanding care. With health care costs comprising a larger percentage of household budgets, it is important to know the difference by ZIP cost and between available hospitals. 2 Responses to "Health Care Costs Vary by ZIP and Hospitals"
Are you feeling sad? I’m concerned about you. Please be good to you.